The Gleaned Sukkah is a temporal assembly that is constructed for use during a week-long festival of Sukkot. The tectonic, material and assembly are developed through understanding the context of this cultural ritual. 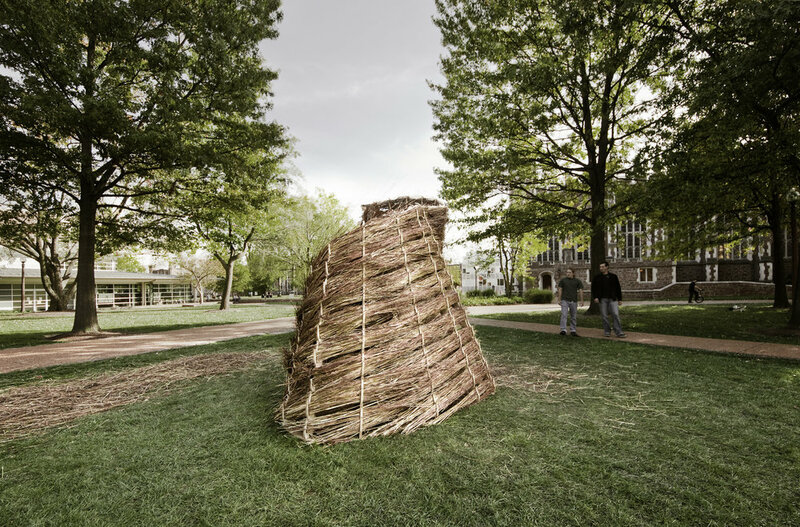 The Gleaned Sukkah synthesizes cultural rituals with natural cycles. The tectonic negotiates two distinct material systems, one which loosely controls the other. 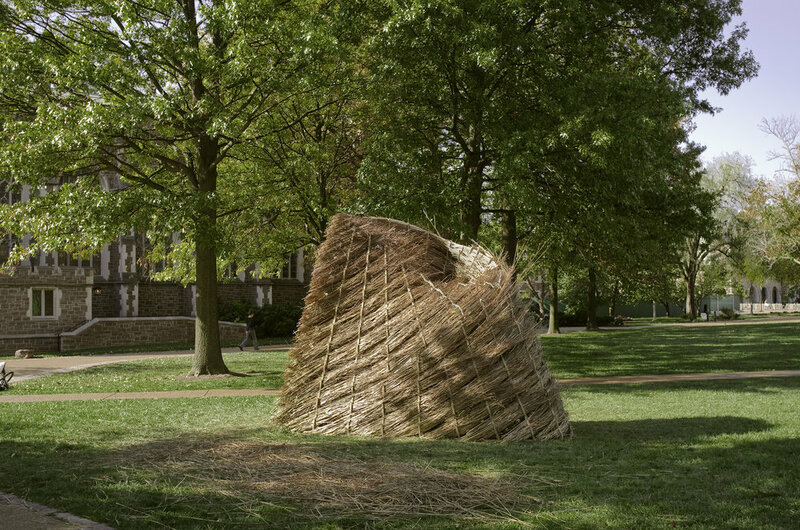 A tenuous composite of precisely fabricated, lacy frame delicately pinches the tufts of long, native prairie grasses to form a reciprocal structural system.